Histories of the National Mall | James Renwick Jr.
James Renwick Jr., “James Renwick Jr.,” Histories of the National Mall, accessed April 23, 2019, http://mallhistory.org/items/show/74. James Renwick Jr. won the 1846 competition to design the first Smithsonian Institution building. His design drew heavily from architectural styles of 12th-century Europe that gave the building a castle-like appearance. Although Renwick took pains to design the building to be fireproof, a fire destroyed part of the structure in 1865. In 1874, he completed the first Corcoran Gallery located on Pennsylvania Avenue near the White House. That building now bears his name and is part of the Smithsonian American Art Museum. 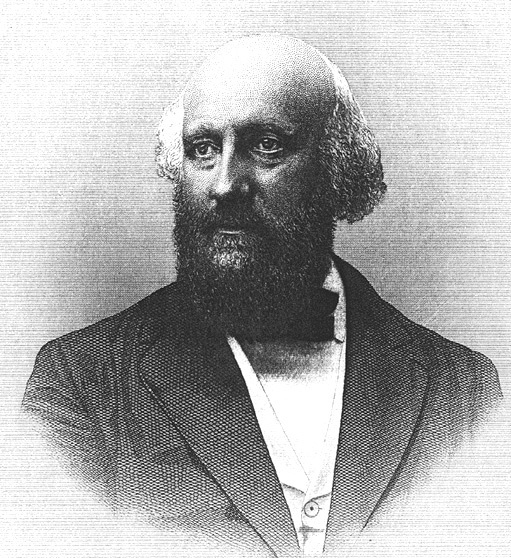 James Renwick, Jr was born in New York to well-connected and well-educated parents. His father was a professor at Columbia College (today Columbia University) where James, Jr started at the age of 12. Renwick earned both a Bachelors and Masters degree from Columbia in engineering. After graduating, he was hired as a structural engineer for the Erie Railroad. In 1843, Renwick won a competition to design a new Grace Church, a wealthy Episcopal parish in New York City. Following its completion, Renwick received commissions to design and build other structures, including many churches, in New York City. Based on these successes, he was invited to enter the design competition held in 1846 to select an architect for the newly-created Smithsonian Institution. Renwick won the competition and designed the original building with features reminiscent of a Gothic European castle.